Roof algae is a microscopic organism that feeds off the calcium carbonate and powdered limestone that is found in roofing shingles. Does it hurt the shingles? Do you have to get rid of it? No. 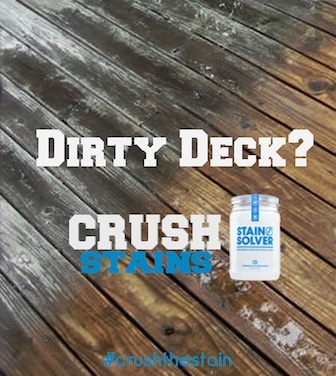 But, a lot of people do want to get rid of the ugly black streaks on their roof. In addition, some houses might have green algae from nearby trees. There is a simple way to get rid of these algae. To clean roof algae, use oxygen bleach. It will not take the color out of the shingles and will not harm the vegetation. CLICK HERE to get FREE & FAST BIDS from local companies that will come out and remove algae from your roof. Mix the oxygen bleach with water and spray it onto the roof with a pump sprayer. Keep the roof wet for about 10 - 15 minutes. The oxygen bleach will attack the algae and start to remove it. Take a scrub brush and lightly scrub the roof. Apply more solution if required. Once the roof is clean, rinse with water from the garden hose. Some roofs may require a second or third application depending upon how bad the algae has gotten. There are some safety tips to remember. Roofs are slippery and when they are wet, they are more slippery. With the addition of oxygen bleach, even more slippery. Be careful and wear shoes with good traction. Also, work on the roof on a cloudy day or in the morning or evening when the sun is not beating down on you and the roof. The sun will make the bleach evaporate faster and it will work on you also. Click here for more information on Oxygen Bleach. I decided to create my own special blend using ingredients made in the USA. In fact, the raw materials in the active ingredient are food-grade quality registered with the FDA. 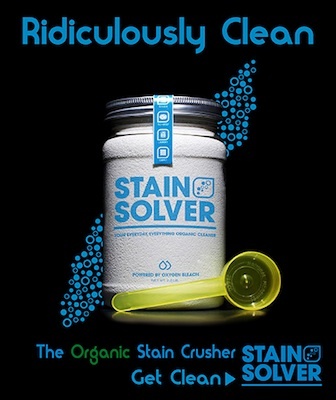 I call my product Stain Solver. 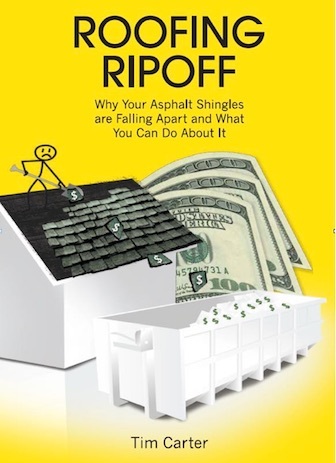 I urge you to use it to help with cleaning your roof shingles. You will be amazed at the results! Hi Tim. I'm wondering if oxygen bleach will work on a corrugated fiberglass greenhouse roof that has algae on it? Thanks for any info you can share. A ratio of water to oxy bleach would be helpful.